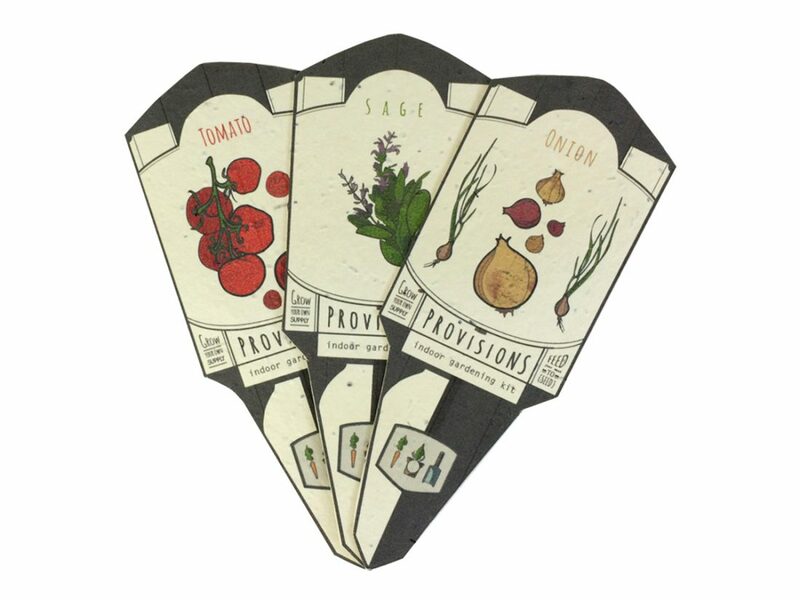 Provisions – Indoor Gardening Kit is a personal project I have been working on and off for several months now. 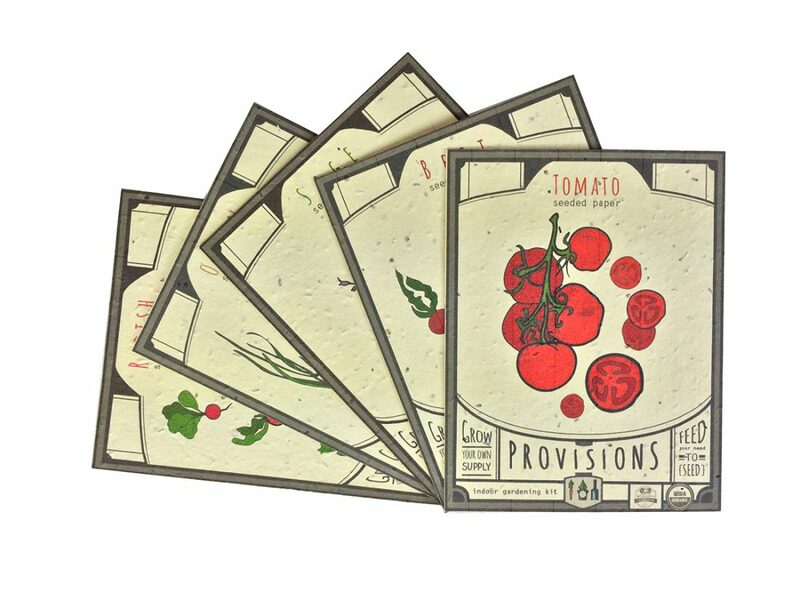 I wanted to work on Packaging Design project that was completely sustainable, even the labels, as well as 100% of the packaging. 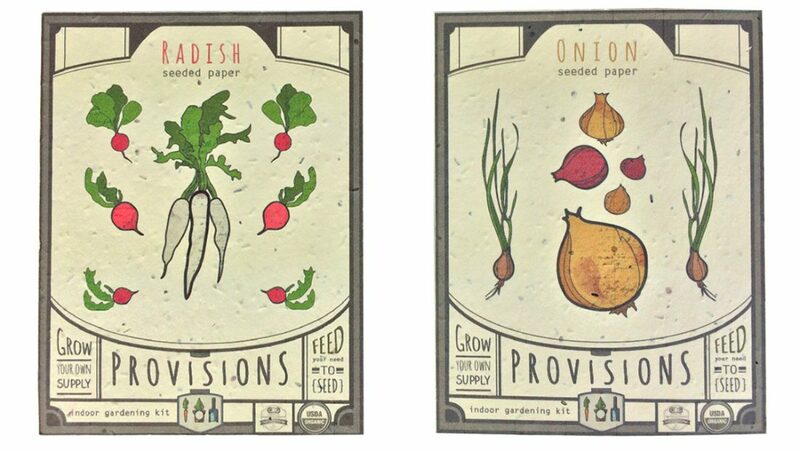 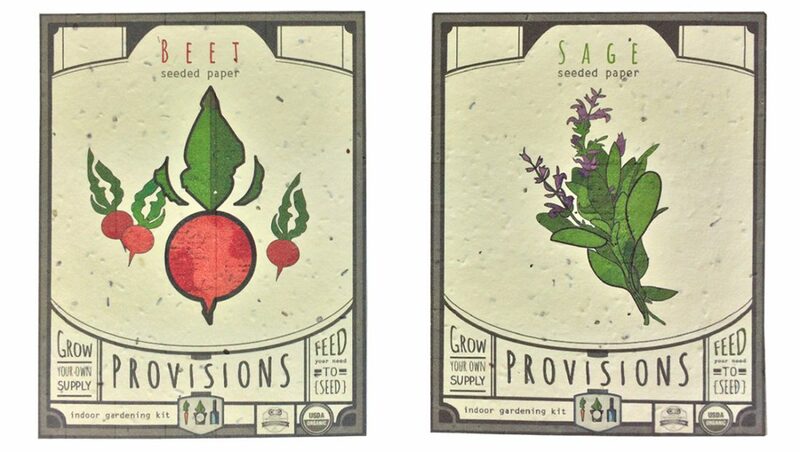 Everything is printed on plantable seed paper, starting with the seed packets, the seeds are embedded in the paper so you actually plant the package with no waste whatsoever. 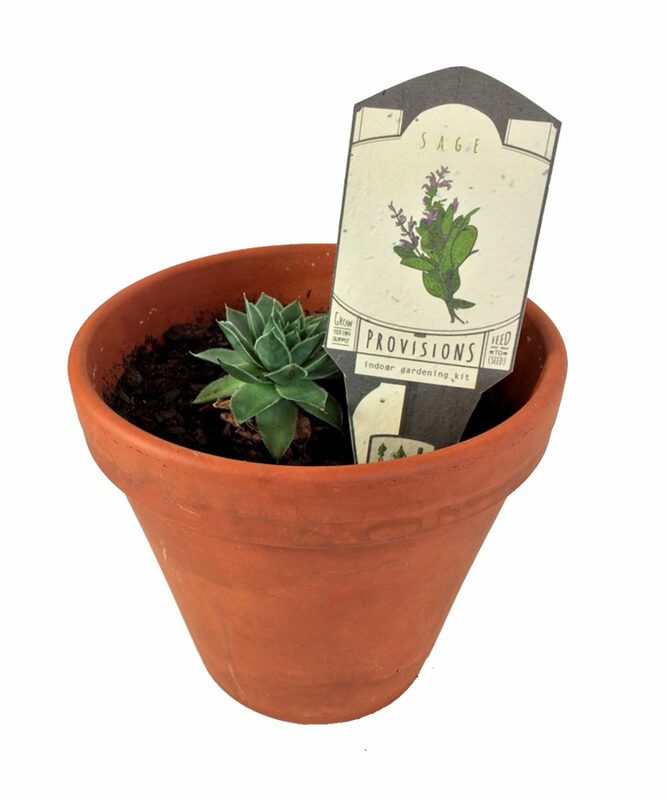 The plantable fiber pots are also plantable, and you can actually plant their label in the pot if you choose to. 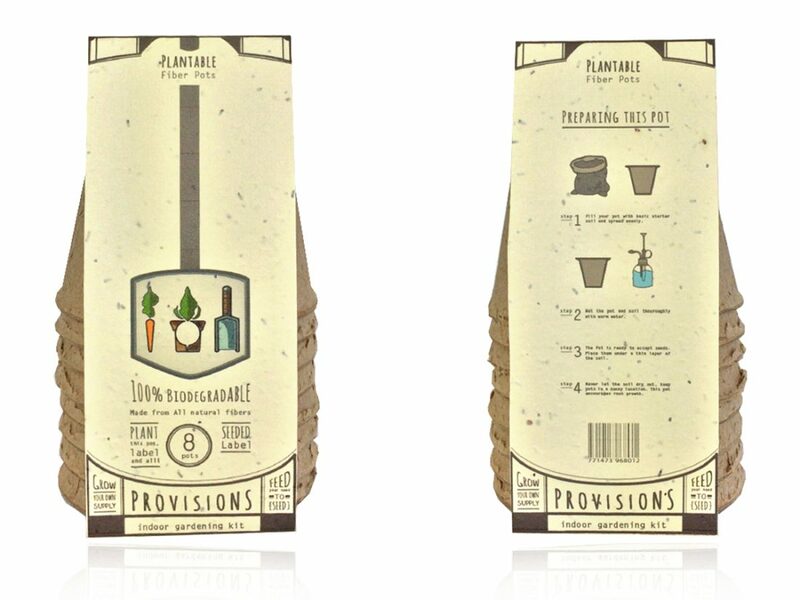 This project’s focus was organic design with 100% sustainable packaging. 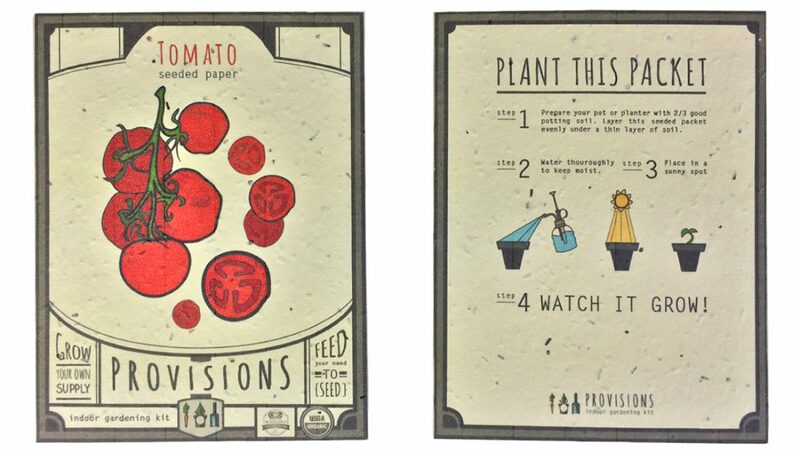 This is a purely conceptual project that I created and worked on for fun!